The Mackenzie Region is blessed with many great places to swim – it would be impossible to list them all! We’ve had to narrow the list down to just five of our faves. With so many glacial-fed lakes there is often a misconception that the Mackenzie Region is too cold to swim in. Not true at all! 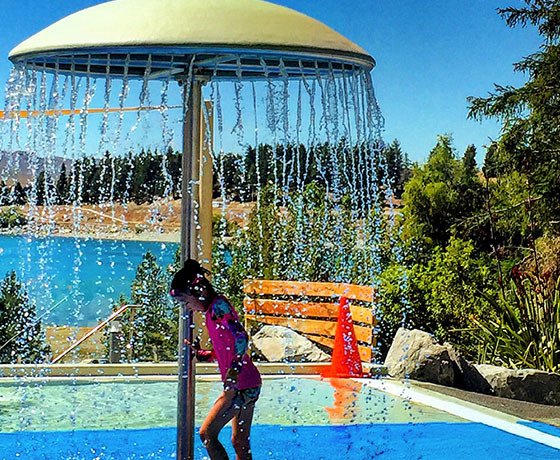 Read on to discover our picks for some of the warmest swimming spots around. See you in the water! If swimming isn’t your thing we’ve listed some other fun water activities at the end of this list. Enjoy! Loch Cameron is only 6km from Twizel. This is a warm swimming spot. Enter through the gates and find yourself a parking spot anywhere alongside the loch. It’s great fun to swim out to the island in the middle! There are some shallow areas perfect for children to wade in. Loch Cameron was a ‘burrow pit’ – the small hill was dug into for earth material for the construction of the hydro-electric canal nearby. Check out this blog from Paws Awhile for some more photos and info about Loch Cameron. 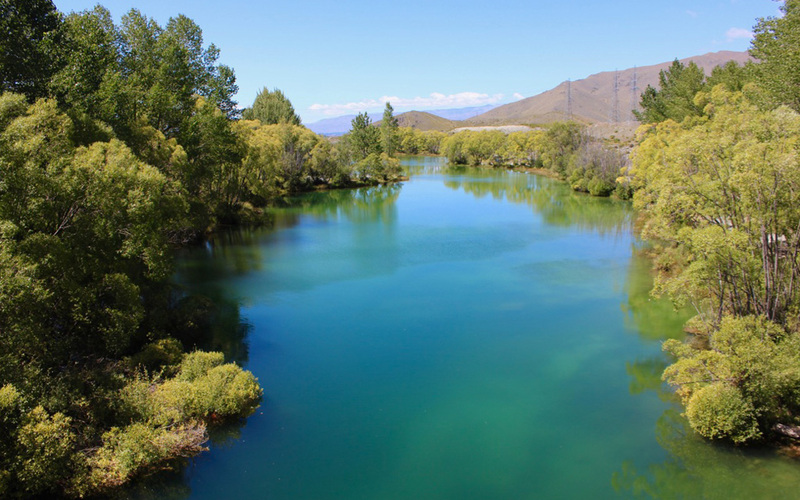 Although the Waitaki District look after the management of the campground, this part of Lake Benmore is in the Mackenzie District. So dive on in and enjoy! Just past the carpark at the bottom of the hill keep walking past the little peninsula. There is a roped off swimming with buoys to keep the boats safely away. Lake Benmore is a man-made lake, created by the Benmore Dam. 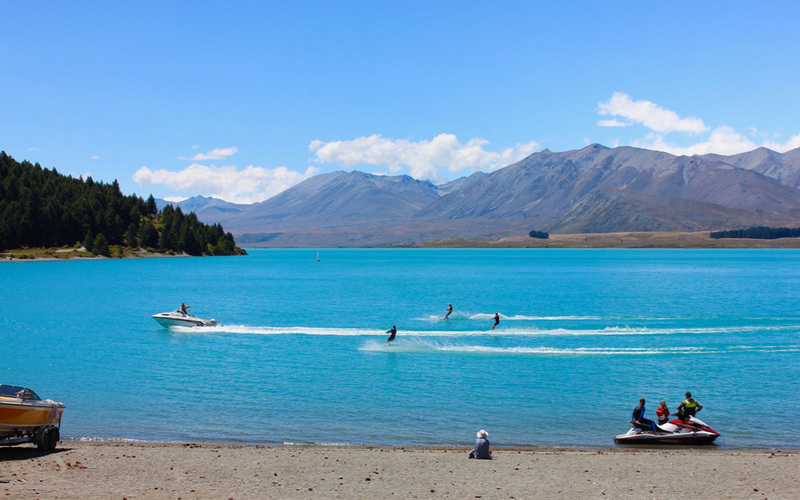 The lake is fed from the Ohau, Pukaki, Tekapo and Ahuriri Rivers. This historic bridge is located close to Twizel, on the way to Omarama. Just before you reach the High Country Salmon Farm turn left onto Old Iron Bridge Road. Take a right on the gravel road and continue along until you reach the bridge. Lovely clear water and plenty of shade make this a wonderful place to swim. Check out this blog from Paws Awhile for more info and photos of Old Iron Bridge. Fascinating history! 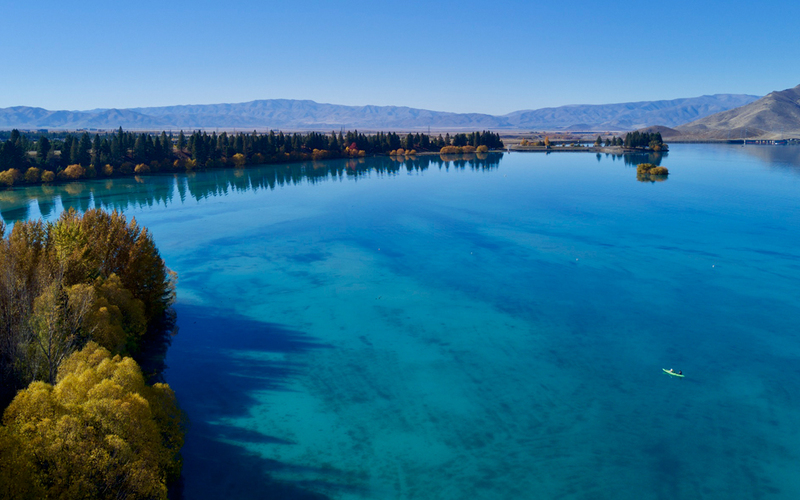 Turn onto Lakeside Drive and head towards Tekapo Springs. 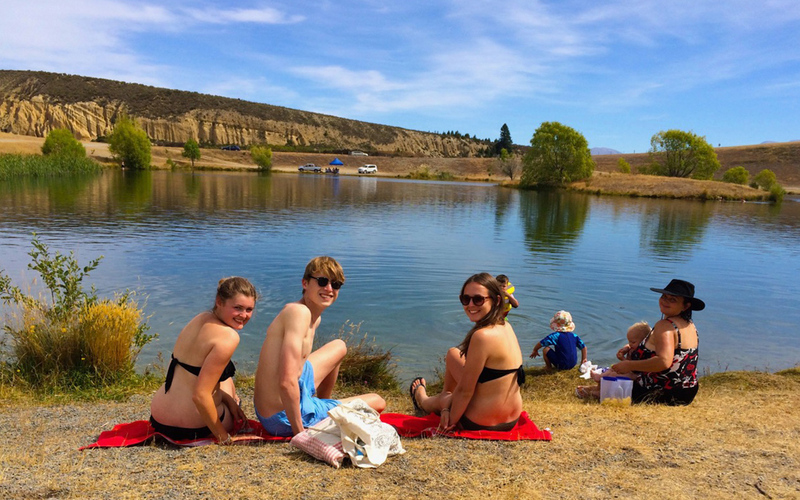 Directly opposite the Lake Tekapo Power Boat & Water Ski Club is the best spot. There is a pontoon to swim out to and a boat ramp. Toilets are located across the road. 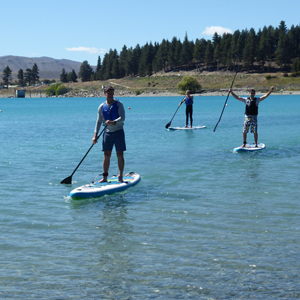 Paddle Tekapo are located near the boat ramp, so if that’s more your style have a go on a paddleboard! 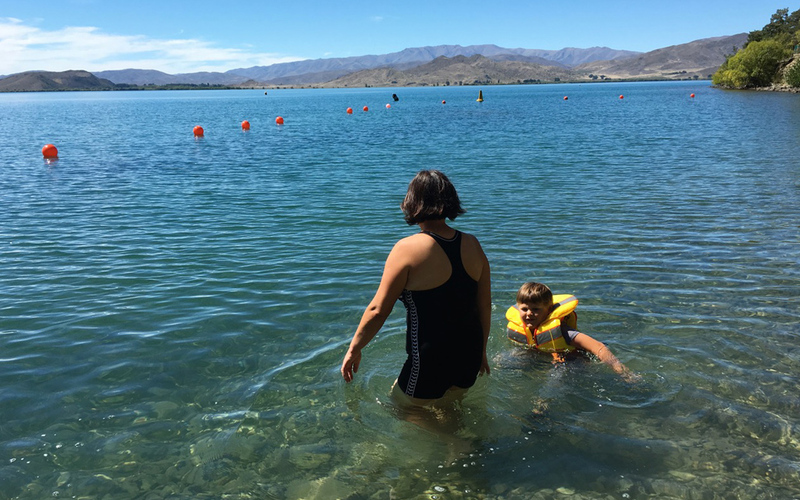 A man-made lake created during Twizel’s hydro-electricity era, Lake Ruataniwha’s shallow water makes this lake a family favourite. There are even a few swing sets for the children to enjoy. Just on the other side of the lagoon is the purpose-built rowing course, famous in New Zealand for hosting the bi-annual Maadi Cup rowing championships.